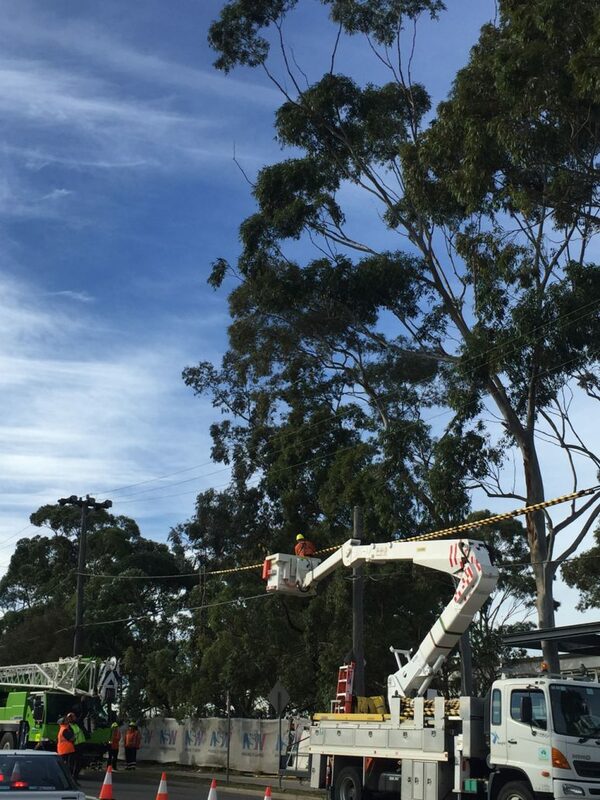 Some jobs require serious assistance. 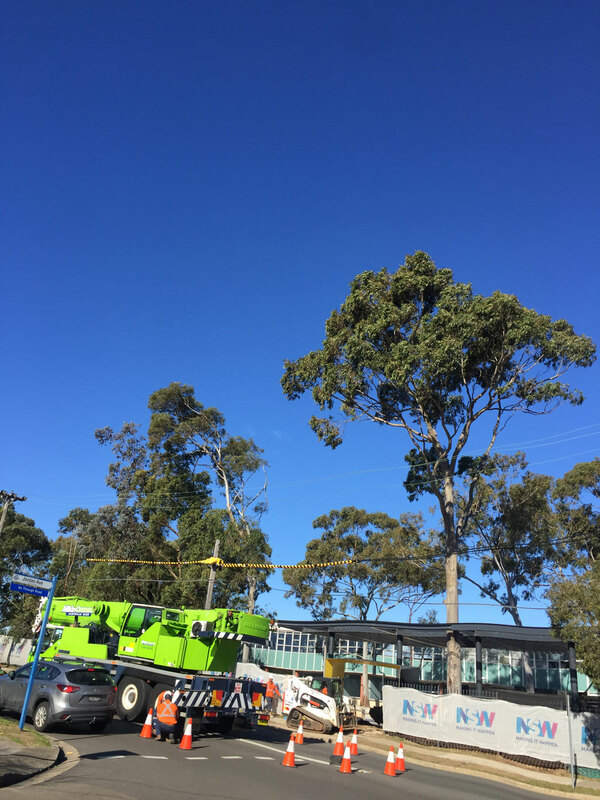 After calling Ausgrid to ensure the electricity was shut off and wires were clearly marked, we employed the use of a crane to safely lop this lemon scented gum outside Beverly Hills Girls High School. 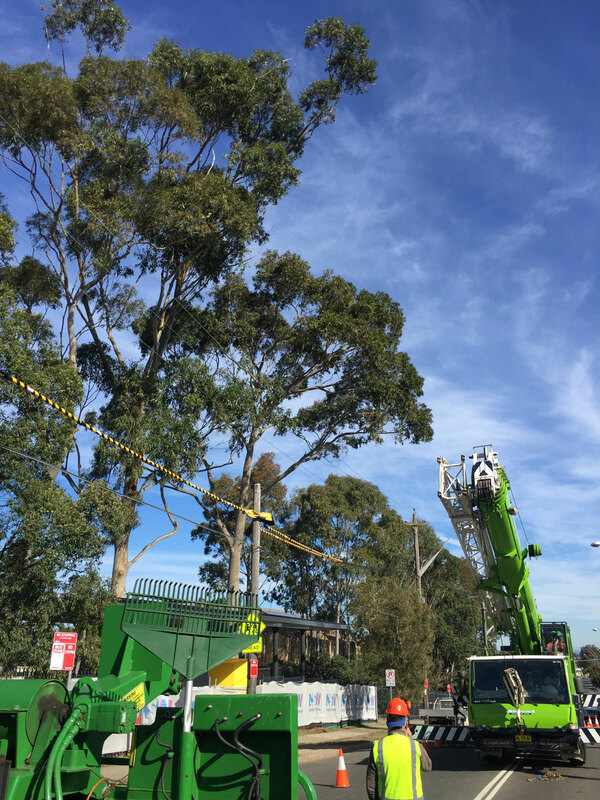 The crane was necessary to carefully manoeuvre branches away from the roof of a building and the electrical wires. 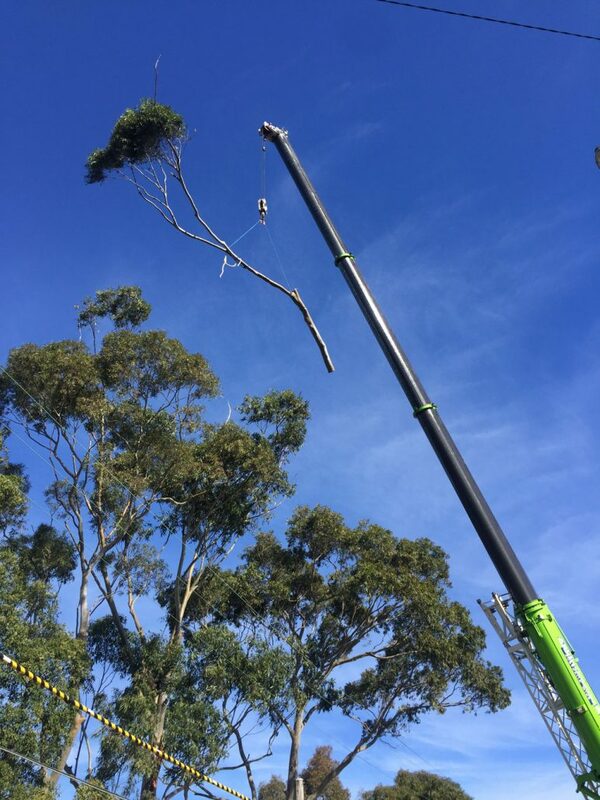 The job was completed without incident. Most of the work is done for the day. A challenging but enjoyable day!